When it comes to search engine optimization (SEO) there are a lot of questions to be asked. Such as; why doesn't your website show up on page one of a Google search or why doesn't it display higher up on the SERP or why is your competition's website listed ahead of yours. If you're asking yourself these questions I can help answer them. The Internet is continuously growing with a constant flow of new websites being added to the Internet each day. This means that it is getting harder and harder to be found on the Internet. So how can you compete in order to get your website listed on the first page of an Internet search? 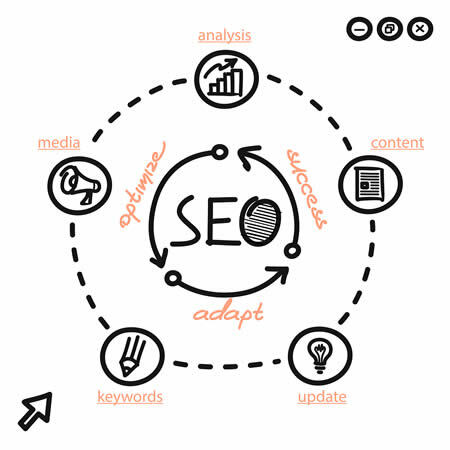 It all comes down to using a good Search Engine Optimization (SEO) service. 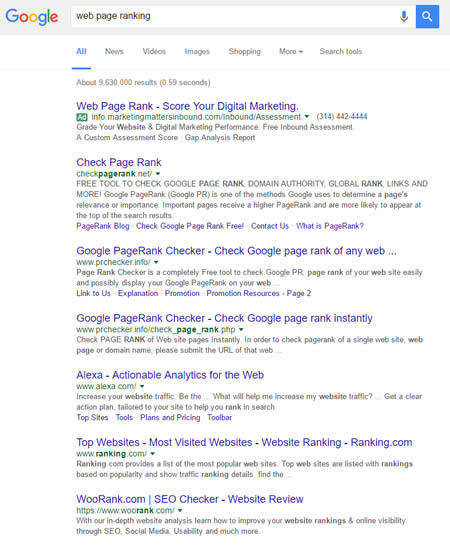 I use the latest white-hat seo techniques to help my client's website improve its search engine ranking in Google, Bing, Yahoo and others. Why do you need BM Web Design as your search engine optimization expert? Dominate your competition. The higher up your website appears in the search engine ranking position (SERP), the greater visibility it has and the more visitors you will receive. More targeted prospects to your website = more profits for you. Cost-effective and long-term ROI. Once your website has a good search engine ranking, you receive visitors to your website for free without having to set aside a daily budget for costly pay-per-click advertising, traditional radio, TV or print advertising. More creditable. Studies have shown that people are 3x more likely to click on a website link in the organic search results as they are deemed to be more creditable as compared to paid listings – which are considered paid advertisements. Global exposure for your website, 24 hours/day for every day of the year. That means your website can reach people in areas that traditional marketing cannot. The biggest benefit of having BM Web Design as your search engine optimization specialist is that it helps you gain an online presence for your business. One of the major benefits of good organic search engine optimization is that you do not pay for every click, unlike Pay-Per-Click (PPC) advertising where your online presence disappears the moment you stop paying for the ads. Other benefits of hiring a BM Web Design as your search engine optimization company include increasing your business benefits, sales and investment returns. An often over-looked benefit of the search engine optimization service is that it helps to make your websites favorable to both site visitors (increased usability), and the search engines. Other factors include cross-browser compatibility, enhanced usability and better accessibility. A good SEO company understands that despite there being thousands of websites on the Internet, each one is personal and unique.